IdeaGist is the world’s largest virtual incubator for people with ideas. 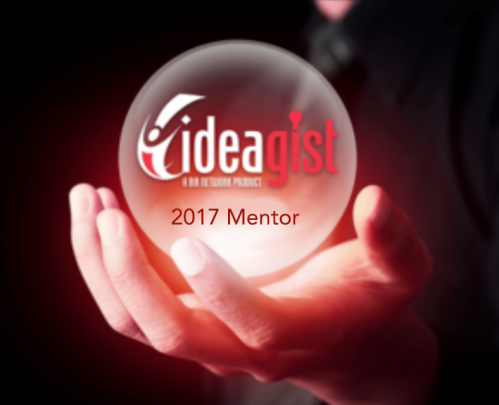 Here we highlight some of the idea makers and mentors involved in IdeaGist2017. Dev is an Associate Professor of Strategic Management and Entrepreneurship at the University of New Hampshire, Peter T. Paul College of Business and Economics. His current research projects examine the impact of knowledge-based partnerships in “high-tech” ecosystems and the benefits it brings for entrepreneurial ventures (in terms of faster new product development cycles, invention and commercialization success, and acquisition potential). In addition, he also studies the benefits of knowledge partnerships on open innovation and through global value chains. For these projects, Dev collaborates with researchers from around the world, including the United States, Canada, China and India. 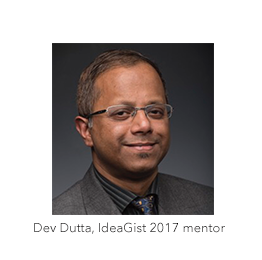 Dev joined IdeaGist as a mentor because he wanted to mentor and support talented entrepreneurial teams from across the world. “I have been mentoring here for the past four to five months,” he says. “The entrepreneur group I am mentoring is Debate it Forward, an exciting venture in the social innovation space. Dev is an Associate Professor of Strategic Management and Entrepreneurship at the University of New Hampshire, where he also serves as faculty director for the university-wide Minor on Entrepreneurship.